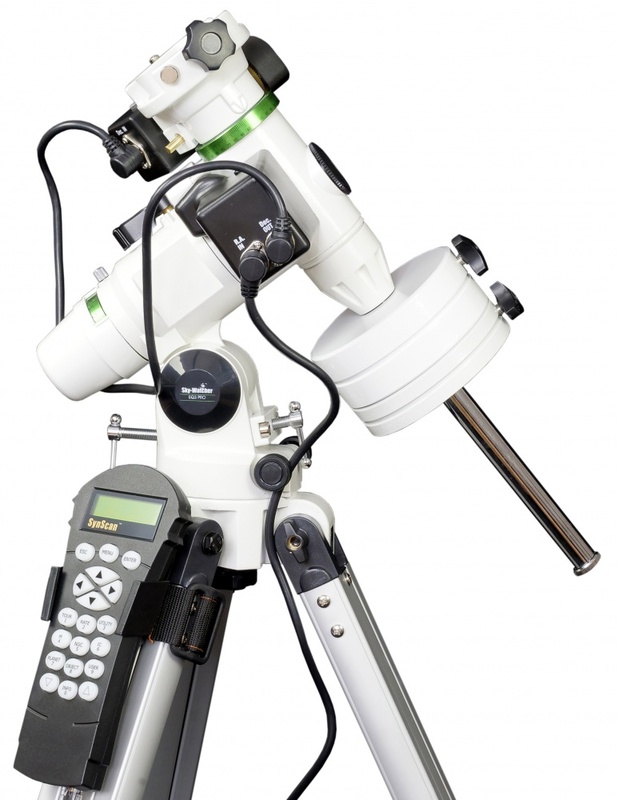 Sky-Watcher offers simple solutions for users who would like to attach their smaller telescope to a convenient computerised system but do not wish to deal with the weight of the HEQ5 or EQ6 PRO mounts. The EQ3 PRO SynScanTM mounts use the same Go-To system found in the HEQ5 and EQ6 PRO SynScanTM. It allows you to point the telescope at a specific object or even tour the skies at the touch of a button. The SynScan™ Computer includes a massive 42,900+ night sky objects in its extensive database. 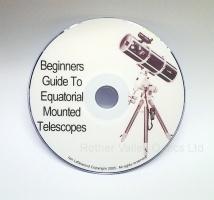 I purchased this mount to use with a Skywatcher Evostar 80 ED DS Pro. Portability was an important factor to me, since viewing from my back garden isn't a good option, with 5 street lights is view. Two of which are within 20m. This mount seemed to fit the bill. It feels sturdy enough, certainly for observations, as I haven't attempted astrophotography yet. My only critisism is the fragility of the plastic fittings used to lock the legs when extended. These become very brittle when cold and are easily broken when tightening. 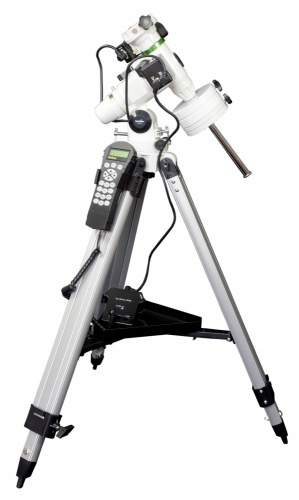 I am about to look into the possibility of purchasing the steel tripod sold with the Skywatcher EQM-35 PRO mount. It may be a little heavier, but a mount with broken legs is useless. Maybe I've been unlucky, but I've broken two of the leg locking fittings now and replacement legs are hard to aquire. As a beginner astronomer/astrophotographer this is an ideal mount if you can live with the weight and minor issues such as no proper holder for power unit. With everything well tightened have managed images of 1 minute without error. Would be improved if a lit polar scope was included, rather than the non lit one. After a year of use already considering an upgrade. Although I have considered modifying the mount, I feel I would be better served with a higher precision mount. If more load is required, more stable legs can up the load capability of this mount.